I present to you an ideal opportunity to purchase an extremely busy, highly profitable and well managed nightclub in a sought after central city location. •The lease on offer is 2 years from 2009 with 2 years further right of renewal until 2013. •This club has square meterage in excess of 500m with multiple bars. •Open 4 nights a week at present, this unique opportunity would be ideal for a hands on operator who would benefit from working alongside the highly trained, experienced and extremely professional nightclub team in place at present. •Very well run and with a rate of return of 29% based on current turnover this business enjoys a very loyal clientele with substantial patronage always increasing due to the various music night offerings and cutting edge DJ's. •Turnover averages in excess of $25,000 weekly. Private functions are sought after due to the club layout and revenue can achieve $40,000 when all the spaces are utilised accordingly. •Fully equipped, spacious and well laid out commercial kitchen is included and this alone would provide an excellent opportunity to increase revenue immediately should the incoming owner thus choose. •Rent is $100,000 per annum, plus GST and OPEX is $29,000 per annum plus GST. •High quality audio equipment with state of the art sound and light systems and flat screen TV's in all areas. •Renovated by present owner in 2009 - modern and contemporary fit out with quality chattels and all equipment required to run this business. •High quality bar fit out as supported by DB. •Excellent supply contacts available for incoming operator. •Entertainment licence in place - 24 hours - 7 days a week. 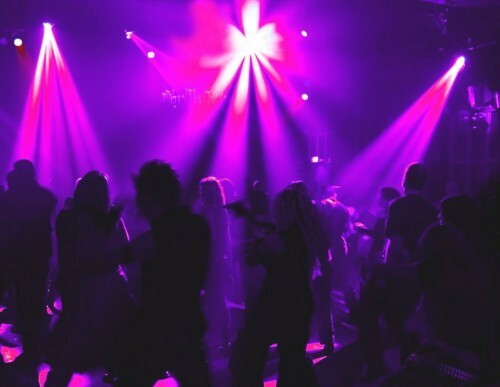 This is without doubt a unique and excellent opportunity for a prime investment in a centrally located and well established nightclub in Auckland city. The vendor wishes to sell due to other business interests throughout New Zealand. This is without doubt a rare and strategically located business for sale with excellent and strong brand reputation and the scope to further increase revenue for the new owner by opening additional evenings and enhancing the food offering. So this is your chance to be your own boss and benefit from the dedication, passion and hard work that the present owner has put in. Walk in, take over and start trading immediately - an opportunity not to be missed ! Kate Grooby is the Hospitality Business Broker acting on behalf of the vendor for this business, so call me today to discuss this exciting and unique opportunity. Hospitality Broker, Auckland North and West.